We maintain close contact with referring physicians and provide frequent progress reports. Each patient is evaluated and treated by a licensed physical therapist who has specialized training in manual orthopedic therapy. Pelvic Floor Physical Therapy refers to the evaluation and treatment of the muscles, joints and connective tissues that support the pelvic organs. Dysfunction in this area can lead to bowel and bladder incontinence, organ prolapse, pain and sexual dysfunction, and it can also contribute to low back pain, hip pain, and poor balance. Physical therapists, as experts in the treatment of neuromusculoskeletal conditions, use a variety of techniques to help patients achieve improved bladder and bowel control, pain relief and improved core strength and stability. Currently, we are able to provide Pelvic Floor physical therapy for women with diagnoses of incontinence and/or pelvic organ prolapse. Please call us if you have any questions or to schedule an evaluation. Our Pelvic Floor therapist will be happy to talk with you prior to your appointment to discuss your condition and answer any questions you might have. Massage therapy is one of the simplest healthcare practices available. Therapeutic massage stimulates the body’s natural healing abilities through stroking, kneading, and applying pressure to the body using an understanding of the principles of human anatomy. Massage therapists use several techniques to manipulate the soft tissues in the body. Massage therapy is useful to promote general health and well-being, as well as to address specific musculoskeletal issues. 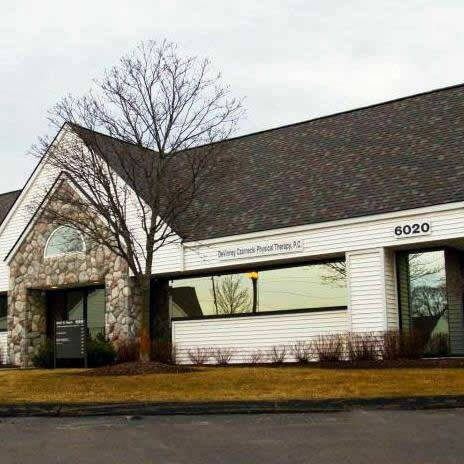 Please call us today at 248-851-6999 for an appointment with Christopher Joppie, LMT or Lisa Burnette, LMT. A short-term course of physical therapy designed to empower people to manage their own neck or back pain symptoms. People with recent onset of neck or back pain which does not radiate into the arms or legs. Those with ongoing neck or back discomfort who would like to learn how to manage their symptoms. Evaluation of posture, range of motion, flexibility and strength. Education about proper posture for standing, sitting and work activities. Instruction in supportive positioning for rest. Instruction in a home exercise program for flexibility and strength. Modalities (e.g. heat, cold, ultrasound, electrical stimulation) for pain relief and muscle relaxation. Manual therapy as need indicates for current symptoms to mobilize tight joints and soft tissue. Independence with home exercises and symptom management in 2 to 6 physical therapy visits over the course of a few weeks.